In areas such as operating theaters, cleanliness can be facilitated by using appropriate ventilation techniques. The ventilation arrangement can be modeled to show any flow or thermally induced swirls that may bring contamination from the floor or surgical staff to a wound site. 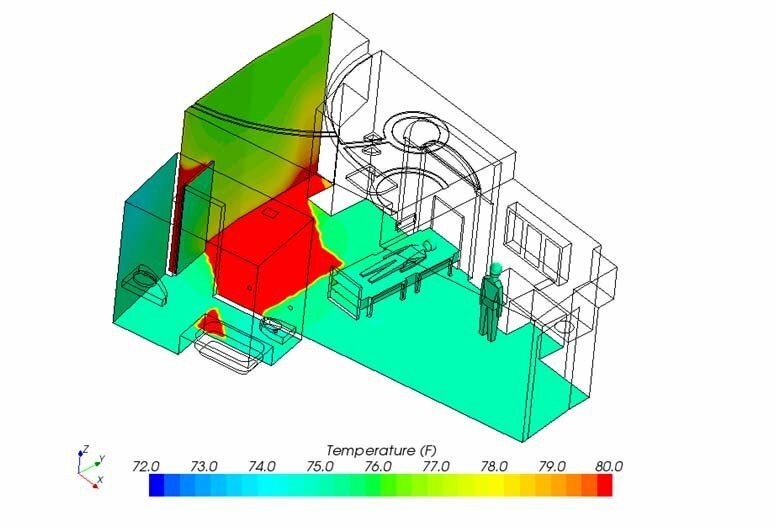 CFD is a proven tool to evaluate what-if scenarios to optimize the ventilation in such a way as to achieve a high degree of cleanliness while simultaneously reducing energy consumption. 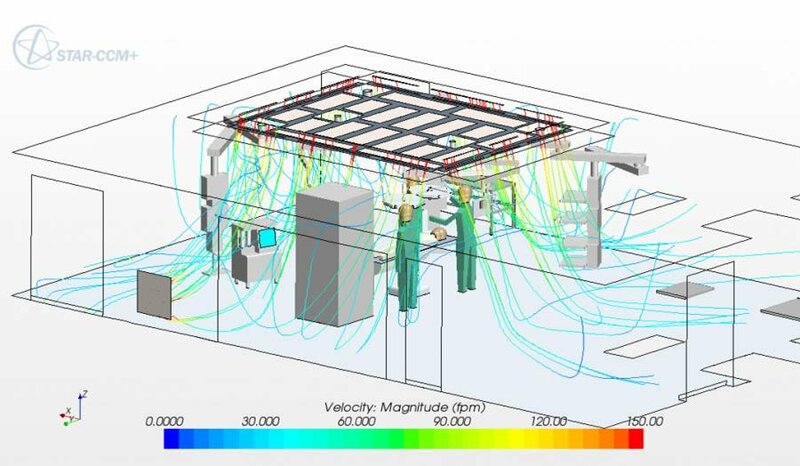 CFD analysis of ventilation in critical areas of hospitals. Assessments of quarantine and isolation room ventilation efficacy. Assessments of operating and procedure room airborne nosocomial contamination potential. 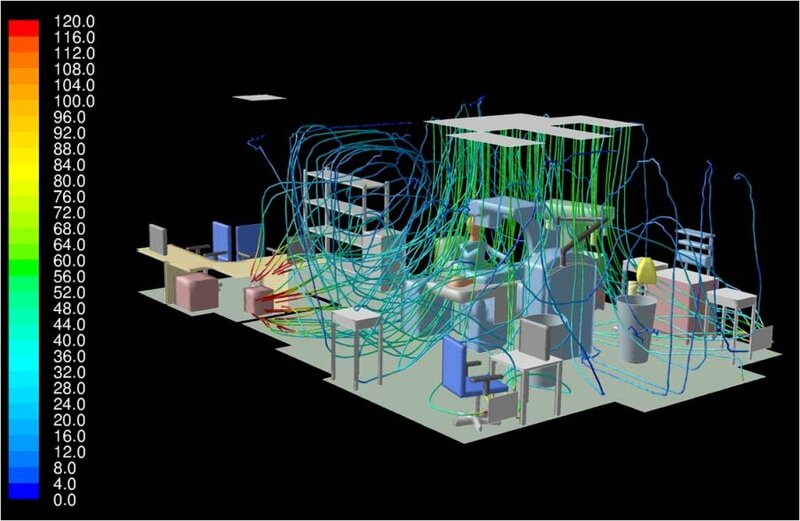 Determination of optimal flow in operating theaters. Wind dispersion studies of hospital effluence. Studies of hospital pharmacies with potent compounds. Natatorium and spa airspace studies of comfort, humidity and mold growth potential.